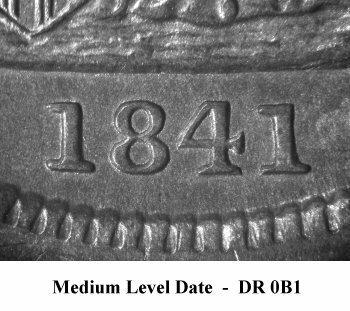 Comments: Obverse 2 is found with a repunched 1 digit. 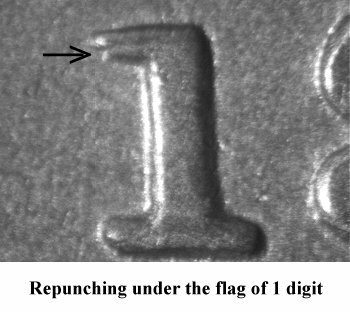 The repunching is visible under the flag of the 1, though the entire digit appears to be repunched downward. 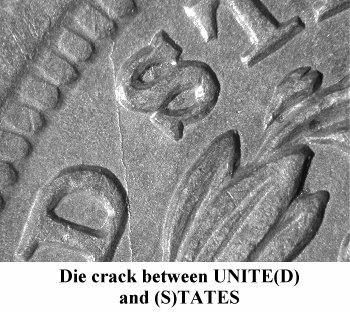 Reverse B exhibits two die cracks. 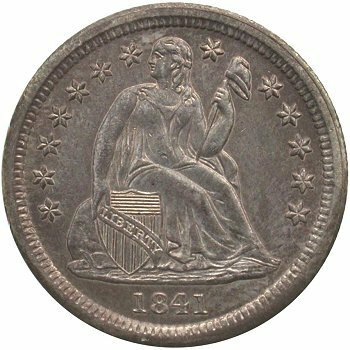 The first is from the upper right wreath, through the bottom of O(F) to the rim. 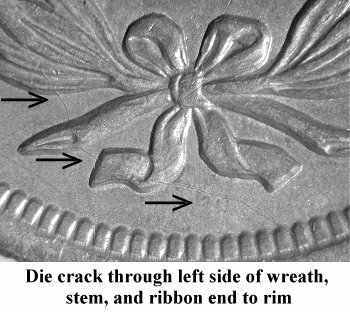 The second die crack starts at the rim between UNITE(D) and (S)TATES and drops down through the left side of the wreath until it crosses the left stem end and the left ribbon end, exiting to the rim below the right ribbon end. 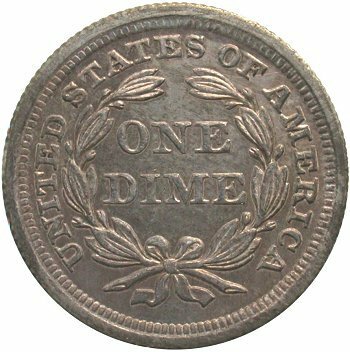 All Variety 102 examples seen have exhibited the reverse die cracks as pictured above.